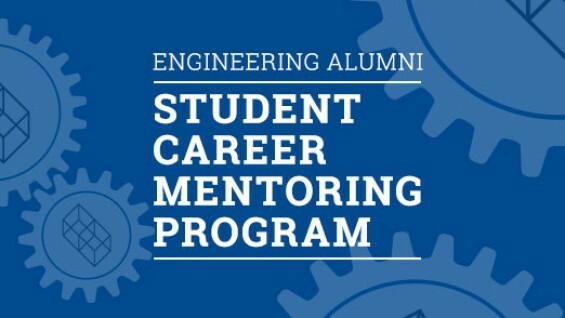 The Engineering Alumni-Student Career Mentoring Program matches engineering students with an alumni mentor for a yearlong one-to-one professional mentoring relationship. The program provides students with support in identifying and pursuing their career goals through professional networking with experienced alumni of the Albert Nerken School of Engineering. While each mentoring pair will work together to determine the best course of action depending on student needs and interests, past student mentees have visited their alumni mentors’ workplaces, conducted informational interviews with their mentors, and discussed a range of topics, including career interests, professional networking, and industry trends. If you are an engineering alumnus and you would like to apply to serve as a mentor to an engineering student please review the information here.